The Death of a Beautiful Subject by Sophy Rickett features an ‘accidental archive’ of photographs of butterflies taken by her retired father, extracts drawn from an email dialogue between them, and a narrative text written by the artist. 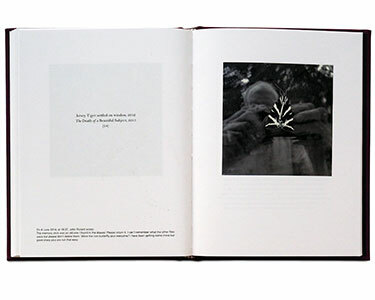 The 24 photographs in the book have been retouched by the artist to conceal and obscure her father’s original subject matter. Through this deliberate reworking and re-presentation of her father’s photographs, Rickett aims to question assumptions about the nature of collaboration, exploring notions of authorship and consent as well as the fluidity of meaning. 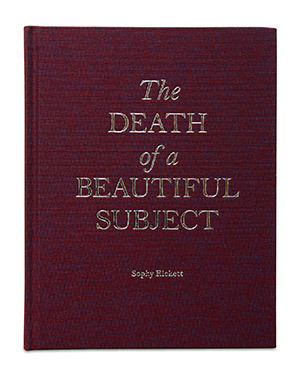 The Death of a Beautiful Subject is Rickett’s most autobiographical work to date and explores themes of dislocation, separation and reconciliation. 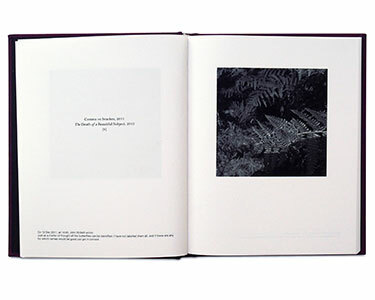 Central to the project is the narrative text in which each vignette evokes a sense of collapse. 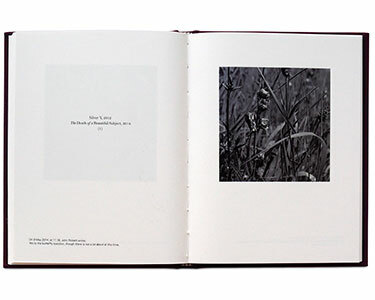 The book traces and records a dialogue with the artist’s family, exploring photography as a means to navigate the world and its relations. A graduate from the Royal College of Art, Sophy’s solo exhibitions include Kettle’s Yard, Cambridge; Chateau de Lichtenberg, Alsace; Arnolfini, Bristol; De La Warr Pavilion, Bexhill. Group exhibitions include Baltic Gateshead; Pompidou, Paris; MOMA, Moscow. Her work is included in major public collections worldwide including the Pompidou, Paris; Federal Reserve, Washington; Government Art Collection, London. Sophy is a lecturer in photography at London College of Communication/ UAL.